There was a lot of anticipation surrounding the release of Sonic The Hedgehog’s return to his classic 2D form. The visuals and presentation seemed to press all the right nostalgia buttons, and many were concerned that the game wouldn’t live up to the legacy of the 16-bit originals. Upon the debut of Sonic Mania, fans were finally relieved to know that the game was everything they had hoped for. 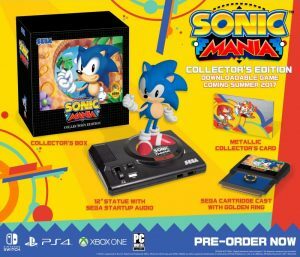 Speculation and hype also filled the air regarding the collector’s edition (CE) of Sonic Mania, which was available for the Xbox One, PlayStation 4, Nintendo Switch, and Steam. Excluding the system logo on the box, each version is identical, since no physical game was included. To be honest, I was sold the moment I saw the statue it included of Sonic standing on a Genesis console. In my mind, THAT was the star item, and the game itself could almost be considered a bonus (seriously, it’s Sonic ON A GENESIS!). As much as I’ve come to love Sonic’s latest 2D outing, I really am awed at the amount of attention Sega put into this collector’s edition. It really is a piece for the ages. The first thing that impresses is the box itself. 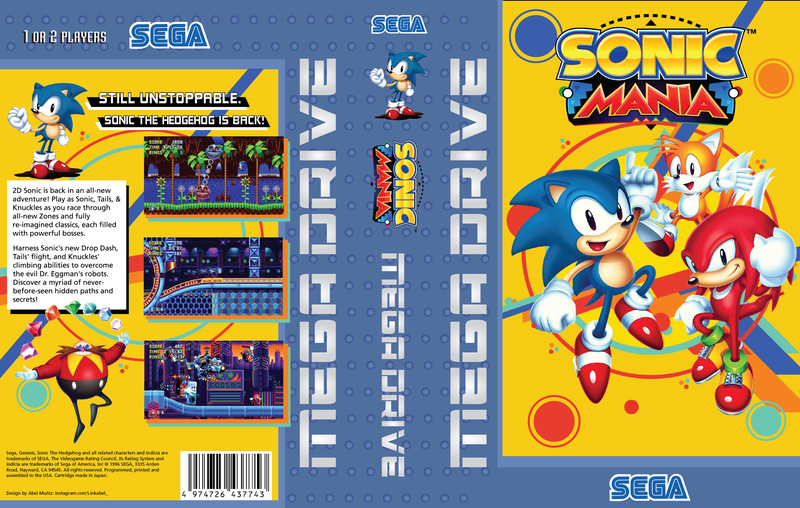 The set comes wrapped in an outer cardboard case that’s brimming with classic-style Sonic art. The side even says “WELCOME TO THE NEXT LEVEL,” spelled in the classic Sega promo font and everything. The inner box is similar but has a neat door that opens to reveal the contents through a plastic window. It’s perfect for those who want to display their CE but don’t to actually remove anything. Of course, the whole point of this premium set is to take it out and enjoy it, though some have cited the seemingly delicate build of the statue itself as a reason to keep it under wraps. A 12-inch rendition of classic Sonic, the statue is very well-sculpted and is perhaps the largest such piece of its kind released within this price range in the past several years or so. I did find it to be a bit too light, and it doesn’t seem like it could survive much of a fall, but being that it’s meant to be a display piece, fragility shouldn’t be an issue (how many statues are fall-resistant?). Find a safe place for it and don’t move it! As much as one might want to prevent Sonic from a fall, I don’t think there’s a reason to keep the statue in its box, other that a desire to flip the entire set on eBay or something. Honestly, this is one item you’ll want to display proudly. The Genesis base Sonic stands upon is almost the size of an authentic model 1 Genesis console. Sega did its homework, wisely selecting the “High Definition Graphics” version for the base (due to size and sheer awesomeness). 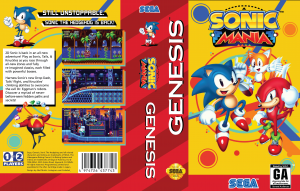 The Genesis logo has been replaced by that of Sonic Mania, and the controller ports and reset button don’t actually work. The volume slider is active, though, and if two AA batteries are installed in the bottom, the classic “SEGA” chant can be played by switching the power button on (also, with a bit of finagling, it’s possible to even get the base’s LED working). Along with the statue, the CE includes a wonderful little Genesis cartridge that is actually a holding case for a metal ring, similar to the ones Sonic collects in-game. The cartridge holder is the right size to fit inside of a Genesis clamshell case, but it doesn’t really fit in an actual Genesis machine (not that it would need to, anyway). There’s also a voucher code for whatever version of Sonic Mania you purchased, and a metal collector card. Being the nerd that I am, I was able to acquire one of those nifty Sonic Mania introduction manual that Sega was passing around at various conventions – thank you Sega Europe!. It is also the same dimensions as the original Genesis manuals, and along with the cartridge ring holder, simply begs to be placed inside a clamshell case. 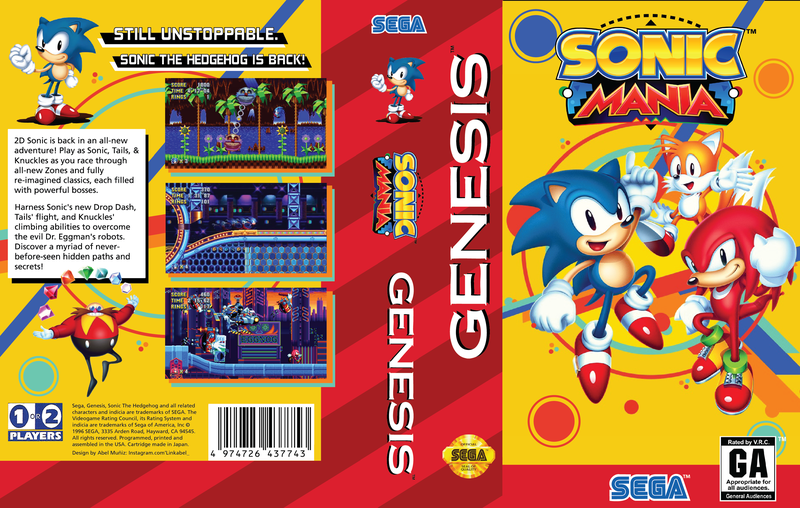 My display has been rounded out with a custom Genesis insert of Sonic Mania, which our friend The Coop from the Sega-16 forums has so graciously resized to be clamshell-ready when printed, in both U.S. and Euro designs. Sitting alongside Sonic on his Genesis base, it makes for one hell of a conversation piece. Though it’s not part of the CE itself, Data Discs, vinyl Sonic Mania soundtrack is a superb way to complete an already splendid package. Tee Lopes score is vibrant and extremely catchy, and it sounds great here. As usual, Data Discs has wrapped all this aural goodness in a great package that’s covered in official Sonic Mania artwork, including the beautiful gatefold image inside. I’m a major fan of this company’s vinyl offerings, and the Sonic Mania soundtrack is as good as any they’ve ever done. Overall, the Sonic Mania CE is one of the best collectibles I’ve seen since the Fallout 4 PIP Boy a few years back. Sega made this as a more than a love letter to Sonic fans; it’s a box of chocolates and a dozen roses, begging for another chance to set things right. It’s recognized its mistakes and wants to make amends. 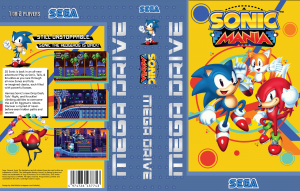 Those who love the hedgehog’s classic adventures have probably already bought this edition (maybe even more than one), but those who have given up on Sonic should not only consider giving Sonic Mania a try – it’s quite good! – but they should also think about how much effort Sega put into this collector’s edition. I think they’ll be quite pleased with what they find. Did I mention that it has old school Sonic standing on a Genesis console?